Watch out, Valdosta and Tifton! 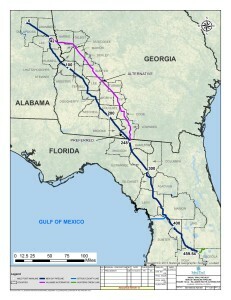 The Hillabee Georgia alternative route avoids Albany and Russell County, Alabama, by starting in Harris County, Georgia, passing through Muscogee, Talbot, Chattachoochee, Marion, Schley, Sumter, Lee, Worth, Turner, Tift, Cook, and Lowndes Counties before entering Florida in Hamilton County much like Spectra’s preferred route. 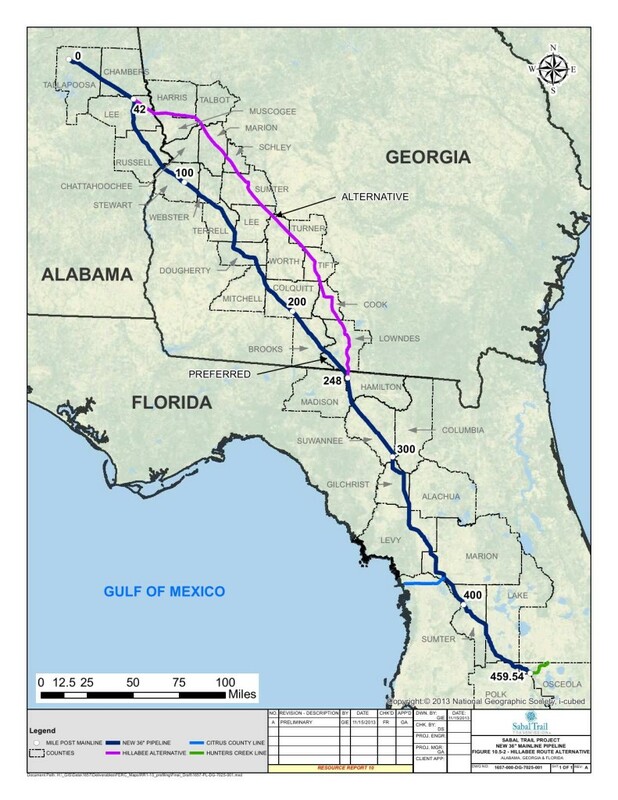 This is the rest of the Option B that was first proposed to Lowndes County residents back in June. 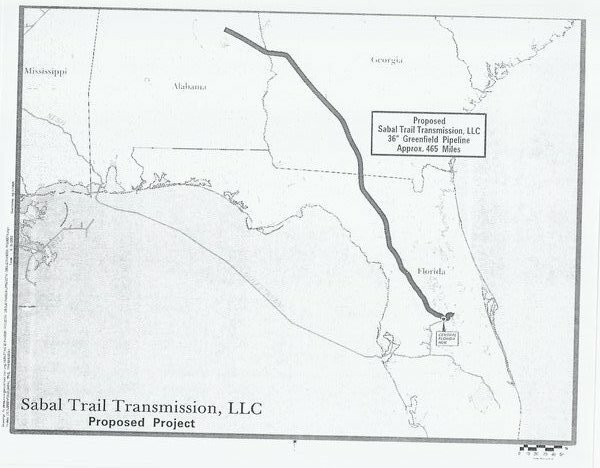 Extracted from Sabal Trail’s one big PDF document, here is PDF and JPG of the Hillabee Georgia alternative route map.